Mothers make a unique contribution to the world and to the Church! 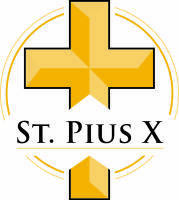 That's why St. Pius X has a ministry that allows moms to join together in faith and fellowship. With gatherings on a schedule that fits family life, these women are able to grow spiritually while sharing their personal journeys of motherhood with each other.